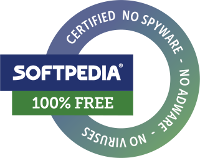 Most downloads were made from this website, while Download.com and Softpedia were the most popular mirror sites. According to Google Analytics, Logframer is most popular with development actors in Kenia, Brazil, India, Cambodia and Uganda. And although I've got some feedback from people working for major development organisations, the large majority of the reactions come from people working 'in the field', mostly for smaller and local organisations, which is precisely what I've hoped for. Not that the big ones aren't welcome to use Logframer of course. So far, the reactions have been overwelmingly positive. I'm also glad that the articles on the website are helpful to those looking for information about the logical framework and the different logframe approaches. Some people make suggestions for improvement of the software, which I try to incorporate in the next version that is due to be released soon. The main complaint is that there is no Apple Macintosh version. As someone who's been fighting injustice for all of my professional carreer, it saddens me that there are still people who are tricked into buying inferior hardware at ridiculoulsy high prices. Mac users have my deepest sympathies. Someone should create a project (in Logframer) to help those poor people. All joking asides, the numbers but especially the feedback from all the users have been very motivating and a very welcome treat after all those years of developping on my own in my spare time. I hope that many more people will discover Logframer during the months and years to come. Read more about 1000+ downloads! Depuis quelque temps, la traduction du site web en français a commencé. 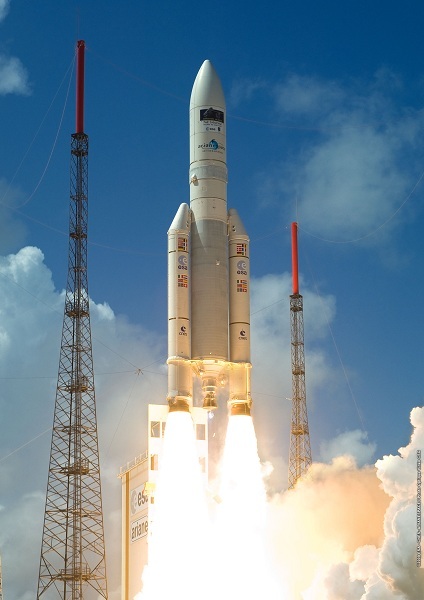 C'est un travail de longue haleine, car il y a beaucoup d'articles à traduire! En vue de la publication de la nouvelle version de Logframer dans quelque semaines, j'ai commencé par les pages d'aide de Logframer. Quand vous cliquez sur un lien du menu principal, ne soyez pas étonné(e) que vous tombez sur une page en anglais. Cela viendra, petit à petit. Vous pouvez changez la langue de l'interfaçe par le sélecteur a gauche du page. En plus, il y a un lien 'français' en-dessous des pages bilingues. Vous verrez sans doute qu'actuellement la traduction est faite par quelqu'un qui n'a pas le français comme sa langue maternelle. Donc si vous tombez sur des gaffes, n'hésitez surtout pas de m'envoyer des corrections. Si jamais il y a des volontaires pour m'assister à la traduction, votre assistance sera vivement appréciée. Several users have reported that Logframer crashes from time to time. This problem was retraced to a number of errors in the Undo/Redo function (which is quite complex). So I've decided to have a complete overhaul of the Undo/Redo function to get out the bugs, but also to simplify the code. The overhaul includes a lot of detailed testing. It seems that the crashes mainly occur when undoing/redoing changes in the indicator details window. So until the new version of Logframer is publicised, you may want to be careful there and save your changes frequently. Website - Where is my comment? Due to an overactive spam filter, a number of recent comments have been put in quarantine. Unfortunately, it took me a while to realise this was happening. So if you've posted a comment recently, you may wonder where it has gone.All comments that ended up in the fridge by accident (and that weren't spam) are now published, and at the same time I've also answered the questions that some of you posted. All the spam messages, which are unfortunately a majority, were shoveled right into the toxic waste container.I promise it won't happen again, and that I will respond quicker to your questions (in my defence: I've also been on holiday and I didn't check the site for about two weeks). Read more about Website - Where is my comment? The upcoming version of Logframer will continue a modest but practical improvement: a 'recent files' list. Logframer 1.1 will list the most recent logframe documents that you've opened. Up to six documents can be included in the list (you can alter the number of files in the settings to suit your needs). It's one small step for man, and totally irrelevant for mankind. But practical none the less. When you try to open a logframer document by double clicking on its icon, like you would with a Word document for instance, the Logframer application starts up. However, once the program is running, it doesn't open the document. 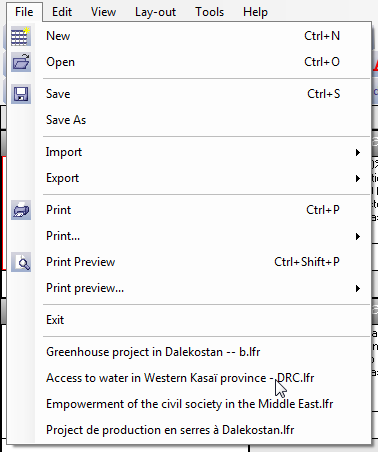 You have to manually open the document via the File menu or by using the Open logframe button. This bug has been fixed in the upcoming version 1.1 of Logframer, which is expected to be released by the end of the summer. One question that pops up regularly in our mailbox, is whether Logframer is available in French, Spanish, Croatian, Serbian, etc. At the moment, there is only an English version of Logframer. But do not dispair, because I'm hard at work to turn Logframer into a veritable polyglot. At the moment, Logframer is learning French. However, there's more to it than just translating the interface. I'm also making a lot of changes under the bonnet, so that different languages can be added in the future with ease. When I say 'with ease', I mean that no drastic changes need to be made to the code. But translating Logframer's interface is a lot of work, because of the many options. Some of you have kindly offered to help me with translation, and frankly I will need your help in the future. Not just because I only speak so many languages, but also because of the workload. But getting more people involved means I have to set up a system that allows us to collaborate in an easy way too. Anyway, I will probably launch a call for assistance in a couple of weeks time. At first I will need people willing to verify the French version. Then later I would like to create a Spanish version. And then we'll see how it goes and which other languages are in demand. So finally, after years of hard labour, the first version of Logframer is out there, on the internet. I was very excited on the 20th of May, the official launch day but also my marriage anniversary. And I'm even more excited right now, because the response to Logframer 1.0 so far was overwelmingly positive. There were quite a number of questions from Macintosh users, asking for a Mac version of Logframer. Alas, I'm a Windows programmer and my objective was to reach people in developing countries that prefer the Intel/Windows platform because these computers tend to be less expensive - and more available - than those shiny Apple products. And of course, like any newborn, Logframer does produce some burps and hick-ups from time to time. If you're strugling with unexpected shutdowns, feel free to contact us and describe the problem, so we can chase away the demons and produce an update. You can also visit the Frequently Asked Questions page, to see if there is a solution for a problem you may encounter or a question you may have. Meanwhile, we'll keep you posted about the development of Logframer and any info related to the Logframer.eu site on this page. So stay tuned!